It is with an incredibly heavy heart that we must announce the death of our good friend and AJMC associate editor, Seema Sonnad. Seema suffered a fatal cardiac arrhythmia while running an ultramarathon in Seattle. Seema’s unexpected, tragic death is an incredible personal and professional loss for us, AJMC, the health services research community, and her family, friends, and colleagues. Anyone who met Seema quickly realized her unbounded zeal for life. A true Renaissance woman, few have her breadth of knowledge, interests, and experience. In addition to her longstanding passion for fitness, she was a skilled equestrian rider and judge, who would consistently amaze you with her knowledge of sports, art, music, ballroom dancing, and wine (some of several passions she shared with her beloved husband, Henry Glick). Seema’s desire to generate and apply evidence in clinical care decision making made her a perfect fit for the associate editor role at AJMC. She was an active member of ISPOR and SMDM, serving in recent years as trustee and co-director of the national meeting. She also served as a reviewer and advisor for NIH, AHRQ, and most recently, PCORI. 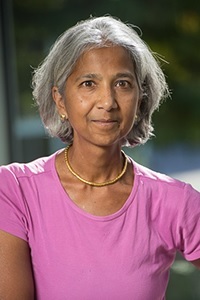 After earning a PhD in health policy and analysis from the University of California at Berkeley and founding a medical diagnostics company, Seema was on the faculty at the University of Michigan (where our paths first crossed), before moving to the University of Pennsylvania, where she created and directed a health services research program in surgery. In 2013, Seema joined the faculty at Thomas Jefferson University, where she helped launch and then co-directed the Value Institute at ChristianaCare in Delaware, one of the nation’s largest, integrated healthcare systems. This leadership position suited her well in that it merged her creativity and superb methodological training with a desire to apply research findings in real-world settings. As were her interests in life, Seema’s research career was broad and multi-disciplinary, largely focused on the evaluation of medical services. She published over 130 peer-reviewed articles, many evaluating surgical procedures and novel diagnostics. She studied technology diffusion, guideline implementation, and meta-analysis. An outstanding teacher and beloved mentor, Seema developed courses designed to demonstrate the methods needed for good research; her uncanny ability to simplify complicated concepts made her a highly sought after teacher. Along with her Penn colleagues, Seema co-authored Economic Evaluation in Clinical Trials, the definitive text in the field. One specific area where Seema particularly excelled was mentoring fellows and other trainees—particularly young women—providing career advice and helping them nurture their projects from idea to publication. She exemplified collegiality and had impeccably high standards, from which, we and her many colleagues benefited. With her energy and enthusiasm, Seema pushed herself both personally and professionally, inspiring all who came in contact with her to become better people. She will be dearly missed, but her countless contributions will continue to impact healthcare through her research, her many collaborations, and the generation of investigators she trained. To commemorate Dr Seema S. Sonnad’s exemplary leadership and the valuable mentoring she provided to her fellows and trainees, AJMC has dedicated the “Seema S. Sonnad Emerging Leader in Managed Care Research Award” in her honor. Her countless contributions will continue to impact healthcare through her research, her many collaborations, and the generation of investigators she helped to train. Early hospital readmission in the trauma population: Are the risk factors different?